This paper presents a broader conception of control, exploring its role within pluralistic organization. Reconceptualization is necessary because conventional authoritative and consensual versions of the managerial control model fail to take account of autonomous activity. 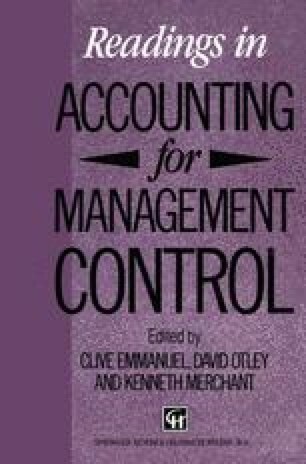 An alternative conception, regarding controlling as causing and attributing control to all sources of stability and change, is needed to recognize that forces other than senior management can and do shape organizational order. Control is not management’s prerogative; organizations are also self-governed through the assumptions, principles and rules underlying their beliefs and behaviours. Control is, thus, a non-cybernetic system encompassing both managerial and autonomous activity. Repositioning the conventional model within a pluralistic framework provides an understanding of why conceptualizing control as the cybernetic implementation of management’s intentions has often obscured rather than illuminated the concept.